The greatest graduate gift a church can give students is a Senior experience that grounds them in their faith and produces an individualized plan to help them experience God’s best in college and beyond. 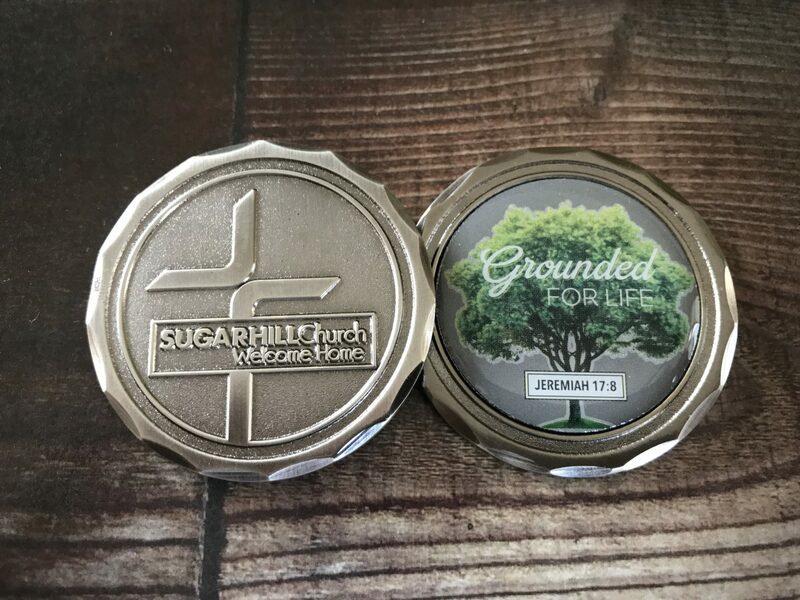 At Sugar Hill Church, the culmination of our comprehensive spiritual growth plan for students (called Grounded for Life) is the Senior Experience. The Senior Experience serves as a final preparation and launching pad for life beyond high school. Through a co-ed Senior Small group experience, students begin the first semester studying Revelation (its themes and promises are so appropriate for students preparing for an unknown future), then a student version of Financial Peace University (we get the most positive feedback from parents on this). In their final semester of small group, students are led to write a practical and actual plan for how to succeed beyond high school. We’ve learned that most students don’t plan to fail; most just don’t plan not to. That is why we lead them in writing a plan that is based on our nine Grounded for Life biblical principles. Each student is given a customized Senior Experience journal where students take notes as each biblical principle is taught and Scripture is discussed in smaller groups. They also write down ideas as current college students share their college experience and suggest practical steps to implement the principles in ways that will benefit their life beyond high school. Students develop personal action steps for each biblical principle identified in The Plan, and together as a group the students decide on the most practical and helpful action steps for each principle. 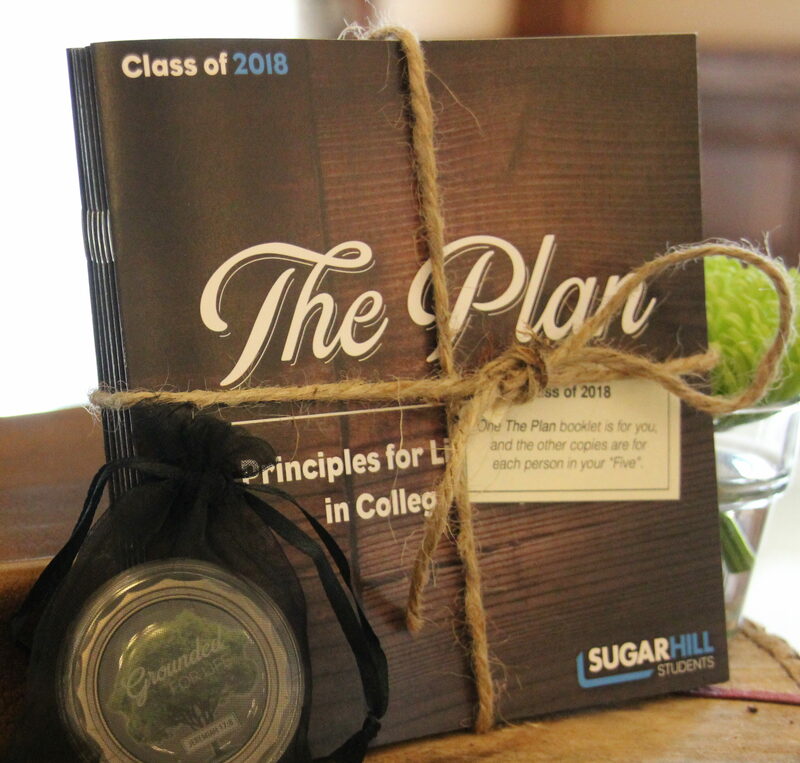 At the end of the semester, we take their action steps and have them professionally printed into each class’ unique version of The Plan as a physical reminder to carry with them into their next stage of life. We encourage students to keep The Plan somewhere they will see it often and review the wisdom and ideas they took time to craft into their plan. Before students graduate, we also encourage them to identify a circle of five people that can hold them accountable to their plan during their first year of college. A number of studies have shown that students who have accountable relationships with 3-5 adults while in college are significantly more successful at thriving spiritually than those who do not. We suggest their “5” include a parent (or two), a senior adult, a past or current mentor (such as small group leaders), as well as a peer that they admire spiritually. These 5 have the ability to greatly impact and encourage a student’s successful transition to college. We connect these “5” to the student and The Plan at a special celebration. Another way we celebrate this period of transition is by making a big deal of High School graduation at Sugar Hill Church. We have a special Graduate Recognition Sunday where students are celebrated and encouraged by their church family. As a part of this special day, graduates invite their families, close friends, and their “5” to a banquet where they are further celebrated by our whole Sugar Hill Students team and the rising Senior class. 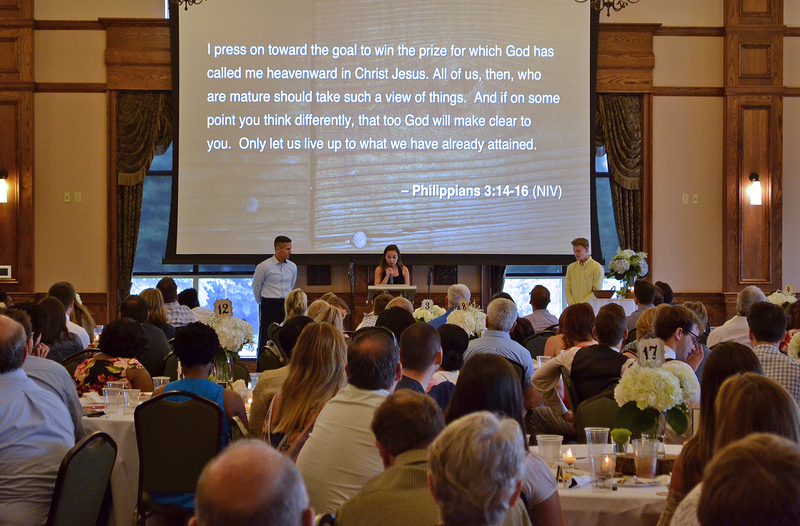 At this banquet, graduates share The Plan booklets with their “5” and begin the process of receiving encouragement to thrive as they enter the post-high-school world. This event puts the exclamation point on our preparation of students to be Grounded For Life! At the banquet, students are presented with special Challenge coins that we have custom minted for each class. Challenge coins are a long-standing tradition in the military that serve as a symbol of identity, a source of pride, and a reminder of the support that one has behind them. We have these special challenge coins minted for our graduating class to serve as a constant reminder of their identity, values, and the army of support they have behind them in their church family. Some students put these where they can see them daily and some say they carry them in their pocket when they are having a tough day. We think that’s a pretty great graduate gift! Parenting is tough… but you don’t have to do it alone. The first reminder is that we must make our limited time with students count. Our programming must be excellent. Every minute must count. We cannot afford to do anything halfway or without purpose. Every time students are with us, they must be encouraged, loved, and challenged. While ministry to students should be wildly fun and highly engaging, the end goal must be to help students discover and live God’s best for their lives. This is discovered in the Bible, experienced in relationship with Jesus, & expressed in serving. We must make a BIG DEAL of the things that are really a big deal. Everything that matters begins and ends with relationship. Packing students in a room and “wowing” them with a program makes an impression. Getting involved with their lives and loving them with a relationship makes a difference. We must go where they are. We must understand their world. We must have the relational capital to know where students are and challenge them to something greater. Authentic relationships are the currency of accountability and a catalyst of consistent growth. The reason small groups are such a big deal at Sugar Hill Church is that relationships matter. Most importantly, the jar reminds me of the fact that I am not the primary spiritual influence in a student’s life. That role still belongs to parents. Like it or not, parents have the awesome responsibility of spiritually training and making disciples of their children. My most important role, then, is to partner with parents and support them in this process. I can offer parents relevant biblical teaching for their students each week. I can offer small group settings for their teenager to build authentic relationships with their peers under the mentorship of loving adults. I can offer numerous experiences monthly for their student to learn about and engage in worship, serving, and leadership. Like it or not, parents have the awesome responsibility of spiritually training and making disciples of their children. Although our staff works tirelessly to ensure these things are offered with excellence, the impact of such opportunities falls short if the experiences and lessons learned are not directly tied back to the home. In order for these lessons to really “take root,” they must be reinforced and practiced at home. For this to happen effectively, we (Student Ministries staff) must continue working intentionally to know families and be aware of their needs. Parents must work on continuously being aware of opportunities we offer students, as well as what happens at our programs and events (what is being taught, how students are being challenged, what commitment their students are making, etc.). As we partner and encourage one another, we can truly be teammates in fulfilling the most important responsibility we will ever have. Such a partnership between a Student Ministry and families can be so effective in offering the best possible opportunities for students to grow in Christ and make a difference for Him. Please know that we are here for you and your family and want to be the best support we can be! You never have to feel alone. Parenting is tough. Thank God that He never intended for us to do it alone. *Consider this a personal invitation to check out all Sugar Hill Church offers your family. I’d love to see you on Sunday at the 9:30 or 11:00 service. A great way to see what he have going for students is at our Family Rally dinner this Sunday evening from 5-7pm. Please hit me up for details or click here for more info. You know what makes me sick to my stomach? When I hear grown people say that kids have changed. Kids haven’t changed. Kids don’t know anything about anything. We’ve changed as adults. We demand less of kids. We expect less of kids. We make their lives easier instead of preparing them for what life is truly about. We’re the ones that have changed. To blame kids is a cop out. This quote has seemed to cause quite some discussion as people consider who and what has really changed in respect to expectations of kids. While the debate is over the details, most seem to agree that things have changed. I’d like to add to the discussion an article I wrote some time back that seems more timely today than ever. The concept of “adolescence” is a relatively new idea, only about a century old. The past 65 years has seen the evolution of “teenage” years and now “tween” years, that have settled between Childhood and Adulthood. With these new eras, have evolved new cultural expectations. Unfortunately, those expectations seem to be spiraling lower for each successive generation. The process of moving from childhood to adulthood in our culture seems to be taking longer and longer. “In today’s world, the assumption that the adolescent years cease and a teen becomes an adult at the age of 18 is no longer valid. New discoveries regarding the human brain, along with a host of cultural forces, like later marriage, extended college education, massive debt, living at home, and delayed maturity have fueled things like extended adolescence and emerging adulthood…”  These terms sound nice, but simply mean that our children are taking longer to grow up. I’ve even read where some think adolescence extends to the age of 30! The biggest problem with the evolution of the teenage era and the idea of extended adolescence is the fact that lower and lower expectations appear to be placed on students during “emerging adulthood.” While we have students study the lives of such great historical figures as George Washington (land surveyer for state of Virginia at 17, military major at 20) and Thomas Edison (published weekly newspaper at 15, invented light bulb), we often celebrate and reward such things as a made bed or a clean bedroom. We give shiny trophies for participation. 2) Absence of long-term thinking about life and the world. 4) Wanting grown-up things without growing up. 5) Expecting bailouts rather than accepting consequences. 6) Focusing on appearance rather than depth. Although this adolescent mindset has certainly engulfed our culture, our children do not have to be (and certainly should not be) victims of such a hopelessly situated ideology. Parents: The most important thing we can give our children is an identity that is rooted in Jesus Christ. So many parents work so hard to give their children things that will be meaningless in a few years. Training our children to have an identity in Jesus Christ should be THE priority in our homes. There is nothing greater you can do as a parent. What ways are you making spiritual discipleship a priority in your home? How are you fostering a love for and commitment to the church of Jesus Christ? Students: Raise your own bar. Remember the words of Paul to Timothy, “Don’t let anyone look down on you because you are young, but set an example for the believers in speech, in conduct, in love, in faith and in purity.” (1 Timothy 4:12) You be the one that encourages and challenges your peers (and your generation) to rebel against low expectations. Don’t just meet the expectations your teachers, coaches, and parents have for you… shatter them and asked that they be raised. Students: Fear of failure cripples most students (and adults too) from even trying to fulfill their dreams. However, failure is essential to success. Every time you look at a light bulb, remember that Edison failed 10,000 times before he got it right. Those who give the most to the world won’t be stopped by failure. Parents: So many parents put their primary focus on protecting their children, and lose sight of the goal of preparing them to be disciples of Jesus Christ in this world. A big part of the preparation is allowing children to learn from failure. If children are never allowed to fail while mom and dad are there helping them learn from it, the lessons will be tougher (and carry more consequences) when parents are not there. Raising expectations, even if our children don’t initially meet them, will continue to encourage them to be all God has created them to be. In His last words on earth, Jesus called His followers to be world-changers. Ever since then, the enemy (Satan) has done all he can to make Jesus-followers think this is impossible. Let’s remember who we serve. Let’s remember that Jesus told his followers, “I tell you the truth, anyone who has faith in me will do what I have been doing. He will do even greater things than these, because I am going to the Father.” (John 14:12) Let’s remember His words, “From everyone who has been given much, much will be demanded; and from the one who has been entrusted with much, much more will be asked.” (Luke 12:48b) Jesus has great expectations of us. Do we have great expectations for ourselves? What other resources would you recommend on this topic? Leave a comment below with any suggestions. Before my children were good swimmers, I remember the days of taking them to the pool and them spending more time standing on the side of the pool nervously looking at the deep water, than they would actually spend in the water. As much as people would try to coerce them to jump the water, it just wasn’t happening. Teaching my kids to be the great swimmers they are today was a long and expensive process. One particular day in this process opened my eyes to some valuable parenting truths that I wish I got right more of the time. One day I was lounging on the pool deck as my little girl was on the side of the pool refusing the pleas of many others to jump. But everything changed when daddy got in the pool. I jumped in the deep end, looked her in the eyes, stretched out my arms and asked her to jump to me. As she saw my eyes locked on her, my arms reaching out to her, hearing me asking her to trust me, she uncrossed her arms… reached them out… and jumped. What happened after that was a wonderful reminder to me about my unique position as a parent. It also serves as a reminder of how I can love my kids well everyday. It reminds me that, as a parent, I have to get in the water. I can’t attempt to outsource my unique role as a parent. Sure, it’s ok to have coaches, Pastors, teachers, etc. to be a part of the team, but as soon as I allow any of them to replace my voice and my presence in my child’s life…I lose. And most of all, my child loses. Yes, it’s easier (much easier) to parent from the pool deck, but there is absolutely no one or nothing that can take my place in the water with my children. My presence with my children is where it all begins. (And one thing I’ve discovered, it’s not all about quantity of time as much as it is QUALITY of time with them.) It’s about when I’m present, being PRESENT. It’s about those moments when I lock my eyes on them and let them know they have me and all of me. How do I love my kids well? 2) I love my kids well by developing trust. This is done through consistency, honesty, & authenticity. My daughter knew I was not going to drop her because of the consistency with which I caught her jumping off of the bed and the couch. She also knew that I was not going to lie to her. Courtney and I made the decision when our kids were born that we would never lie to them. Now this has led to some interesting conversations. Sometimes we just have to say, “We are not going to answer that question right now.” But we want them to know that they can trust the words of their parents. If they can’t trust my words, they can’t trust me. I’ve learned that if I’m committed to such honesty, I have to be committed to authenticity. Some of the best parenting moments I’ve ever had were in times of asking my kids for their forgiveness. When they heard their dad say, “I’m sorry I reacted that way.” Or “Your mom deserved better from me in that moment.” Authenticity and honesty paves the way for trust and communicates love in a deep, deep sense. 3) I love my kids well by allowing struggle. I know this sounds weird, but it’s so true. It’s pretty obvious in the pool that struggle is a part of learning to swim. Sometimes we forget this out of the pool though. Of course, we want to protect our kids, because we love them. But I love my children enough to want them to learn to swim so they don’t drown in the deep waters of life. We have to remember the goal of parenting is not to simply protect our kids. Our job is to prepare them to responsibly and ably live God’s best for their lives as adults. And this preparation involves struggle, discipline, and sometimes even pain. The older my children get, the more I have to be willing to wisely allow them to experience the discomforts of growth. 4) I love my kids well by investing the right things in them. By giving them what they need, not simply what they want. As my daughter learned how to swim, I constantly reminded her WHY it was important to me that she could swim. I reminded her how precious she was to me and that I would do whatever it took for her to properly handle the dangers of being in & around water. Of course she didn’t always want to go to swim practice, but it was something she needed. Having our kids learn to be great swimmers was so important to us, that Courtney & I made it priority…with our time, finances, & presence. How much more important is it that we make the spiritual growth and development of our children a priority…with our time, finances & presence. This begins by a right understanding of what my kids need, and a commitment to give them that at all costs. 5) I love my kids well when we have fun! What made jumping in the pool that day so special for my daughter was not the swim lesson. It certainly wasn’t the struggle. It was the moments between lessons where she laughed, splashed, and was thrown high in the air by her daddy. She couldn’t fully grasp her need to be a proficient swimmer or the significance of the lessons I was trying to teach. But she did know that she was loved by her daddy that day…and that was fun! Trust me, I feel like I get parenting wrong a lot more than I get it right. But that one day at the pool serves as a reminder that God has equipped me (just like he has equipped you) to love our kids well. And I don’t know of a better work than daily modeling for our kids the love of an ever-present, trustworthy, loving God who wants the very best for his children. Be encouraged today, and go show your kids this kind of love! From the Sugar Hill Church Weekday Podcast: Click HERE to check out podcast.